Frederick John Polson (Service no. 6/2729) enlisted for the First World War with a Peterborough Street address. Frederick was born in Ashburton to John Edward (Johan Edvard) Polson and Mary Polson nee Breen. Frederick's First World War service file gives his date of birth as the 15th of April 1896 however his birth was officially registered as the 14th of April 1898. Frederick’s service was reckoned from the 19th of April 1915, which made him a mere 17 years of age. This two year discrepancy may have been deliberate and a sign of Frederick's enthusiasm to sign up and do his bit. Frederick's father was Swedish and their surname Polson an anglicised form of Palsson. Johan Edvard was born to Bengt Palsson and Benedicta Persdotter in Hallstorp in 1851. Mary, Frederick’s mother, was born in County Cork, Ireland and was John Edward’s second of three wives. One of a family of eight, Frederick enlisted with the Canterbury Infantry from his father’s address of 214 Peterborough Street. Prior to this he’d been working on Patrick Burke’s Birchdale sheep farm near Woodgrove, Hawarden. He departed from Wellington on the 14th of August 1915 and arrived for the bitter end to the Gallipoli campaign. With deteriorating weather in October followed by a great snow blizzard in December, Anzac Cove and the Gallipoli peninsula was horrific .Frederick succumbed to frostbite and was transferred via hospital ship from Gallipoli to Cairo then Alexandria in December 1915.Frederick re-joined his unit at Maadi in Cairo in January 1916 before being sent from Port Said to France in April 1916. On the 18th of September 1916, while with the 6th Reinforcements in France Frederick was seriously wounded. Treated in the field, he was then transferred via hospital ship to England and by the 29thof September he was admitted to the 1st London General Hospital in Camberwell with a gunshot wounds to his left thigh and head. He travelled through a variety of hospitals over the next nine months but his leg couldn’t be saved and was amputated above the knee in June 1917 at the New Zealand General Hospital No2 at Walton-on-Thames, Surrey. Frederick was eventually supplied with an artificial leg in February 1918. Frederick spent several months at Walton-on-Thames before going to the nearby town of Chertsey. It is unclear whether he was convalescing here or undertaking some occupational retraining. He later became a clerk and may have had acquired these skills at a small legal firm in Chertsey. Most significantly while in Chertsey he met Gwendoline Bessie Aris. Gwendoline, aged 22, was the daughter of local builder and storekeeper Thomas and his wife Mary Ann. One of three children, she worked as a dressmaker. The young couple were married at the Wesleyan Church in Addlestone near Chertseyon Saturday 30thof March 1918. By June Frederick was ill again, this time with influenza and was re-admitted to General Hospital No2 at Walton-on-Thames. On the 19th of January 1919 Frederick and Gwendoline’s son Gordon Frank Polson was born in Chertsey. The middle name Frank may have been in honour ofFrederick’s older brother. Frederick returned to New Zealand, leaving on the Corinthic from Plymouth on the 9th of August 1919 and arriving in Wellington on the 24th of September. The ship sailed with 89 returning soldiers, 81 wives and 17 children and both baby Gordon and Gwendoline were on-board. Frederick was finally discharged on 22nd October 1919. He was unsurprisingly considered no longer fit for service on account of the wounds he received in action. The Polson family may have spent time with Frederick’s married sister in Methven before moving on to 24 Edgeware Road, St Albans. Frederick’s occupation was now listed as clerk, a vastly different role from his former employ as farm hand. His next residence was ominous, The Military Sanatorium, Cashmere. Frederick had contracted pulmonary tuberculosis. The Military Sanatorium was described by writer and medical practitioner Francis Oswald Bennett as “a dismal affair”. Built in haste and on a budget the sanatorium was opened in July 1919 and eventually extended to 100 beds. 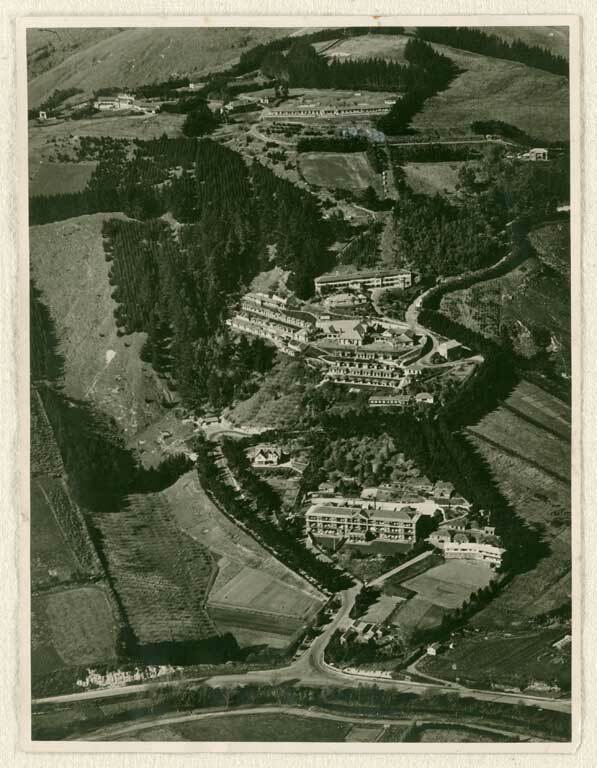 The wards in the form of small huts or shelters were located above the Cashmere Sanatorium and Major William Aitken, a war veteran, was in charge. For many returned soldiers the additional burden of tuberculosis was unbearable. Isolated in the Cashmere hills but tantalisingly close to their homes, families and the civilian life they craved, discipline was an increasing problem. A significant percentage of the patients voluntarily left the Sanatorium although uncured. For others the fresh Canterbury air, sunlight, wholesome food and rest was insufficient. Between the years 1919-1926 sixty-six returned soldiers died. Amongst them was Frederick. He died on Thursday 29th of January 1925 on a day that dawned with a fresh south westerly breeze but became increasingly overcast with passing showers. He was 25 years old. A letter issued in February 1925 by the Pensions Department, Wellington declared Frederick to be a “service” patient and his death to pulmonary tuberculosis was due to or aggravated by war service. Frederick was buried with the Royal New Zealand Returned and Services’ Association (RSA) interments at Bromley Cemetery in Christchurch. Gwendoline and Gordon Frank, now aged 6, left New Zealand and sailed via Sydney to London arriving on 1st of August 1925. They went back to Addlestone, the home of her now widowed mother. Gwendoline died in 1934 aged only 39. Her mother survived her and may have continued to care for the teenaged Gordon Frank. Gordon married Doris May Stealey (nee Pilsbury), a Second World War widow, at Wood Green in Middlesex in 1948 and they had two sons Keith born in 1948 and Neil born in 1953. A civil servant, Gordon Frank died aged only 45 at Bath, England in 1964. Frederick’s elder brother John, an engine driver based in Methven, enlisted with the Canterbury Infantry Battalion in October 1916 aged 34 years old. He was killed in action during the Third Battle of Ypres, Belgium in August 1917. Cashmere Sanatorium, 1913-1933. Archive 887 - Christchurch City Libraries.